Home / Computers/technology / Mobile / Samsung Designs A Retro Flip-phone! Remember back in the year 2000 when flip phones were still a thing, well Samsung decided to bring it back, but they are giving the flip phone a modern twist. The 'Leader 8' smartphone is as equipped as they come, featuring a double HD super AMOLED screen, one touch display on the front and an additional one on the flipped side. 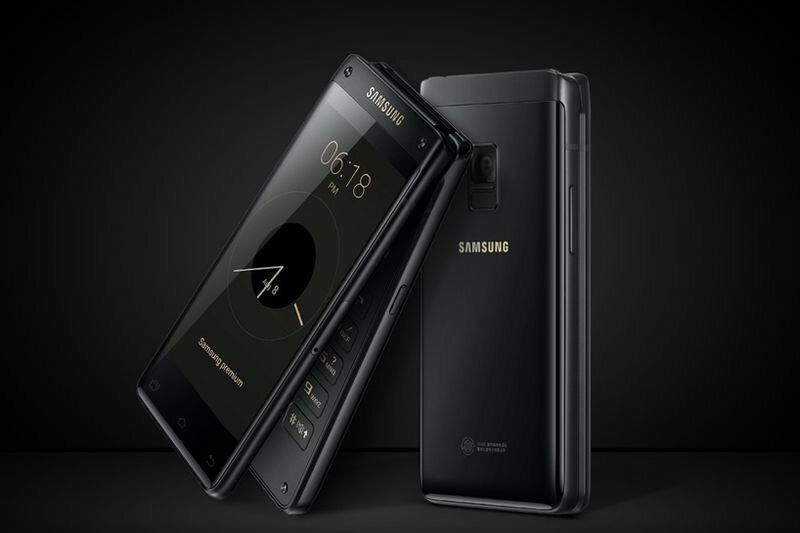 The smartphone also showcases its technological prowess with wireless charging, a dual-core fast focus and rear camera, and a security system like fingerprint entry. The Samsung ‘Leader 8’ smartphone claims to bring fantasy to reality. It does so in a classic clamshell design that uses a high strength aluminium construction to ensure anti-curvature. Its sleek black body is complemented with gold buttons, an ‘old school’ keypad, and additional highlights. This help displays its elegant appearance that neither looks as if it's stepped right from the noughties or back from the distant future. Have a look at the gallery to see what the Samsung 'Leader 8' looks like, and check out the video for more info!